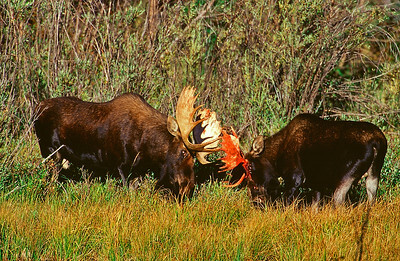 Two bull moose appear to have a bloody sparing match, but the older moose is helping scrape the velvet off the antlers of the younger bull. 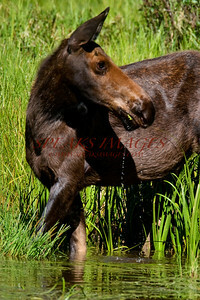 Alert moose standing in a stream eating aquatic plants. 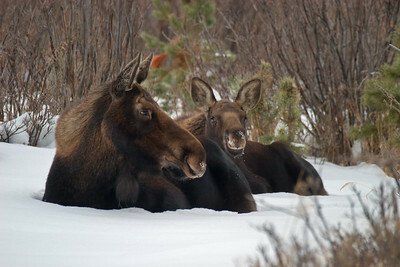 A cow moose and her calf take rest in a snowy clearing.